In recent mainstream media attacks on Donald Trump, there has been considerable effort made to categorize him as a consistent verbal abuser of women based on physical appearance. It hasn't turned out so well for the critics, however, since several of the women cited as "abused" have disputed the accounts as misleading and distorted. Similarly, there has been a concomitant effort to marginalize Mr. Trump as a man who will make numerous new enemies for the US in the world due to his "intolerant" attitude toward those of the Muslim faith. Leading the latter attack in recent weeks has been General David Petraeus. Despite admitted criminal conduct, General Petraeus is depicted as a knowledgeable, dispassionate expert on the Middle East. In a recent widely circulated op-ed, "Anti-Muslim bigotry aids Islamist terrorists" (Washington Post, May 13, 2016), General Petraeus focuses criticism on those who "toy with anti-Muslim bigotry" and "inflammatory political discourse". . . "engage in hate speech" . . . and those who "denigrate Islam." General Petraeus' critique, which amounts to some ugly name-calling when stripped of its rhetorical varnish, is a disguised attack on and roundabout way to portray Donald Trump as a "bigot" and "hater," although Mr. Trump is not named. Petraeus' concern is ostensibly national security, but, speaking plainly, Mr. Trump's attempt to raise the subject of the further pace and level of Muslim immigration into the US for discussion and debate is, I believe, the real target. Petraeus' name-calling ("anti-Muslim bigotry") is designed to shut down any such discussion, while simultaneously denigrating Mr. Trump by implication. So what are the merits of Petraeus' charges? 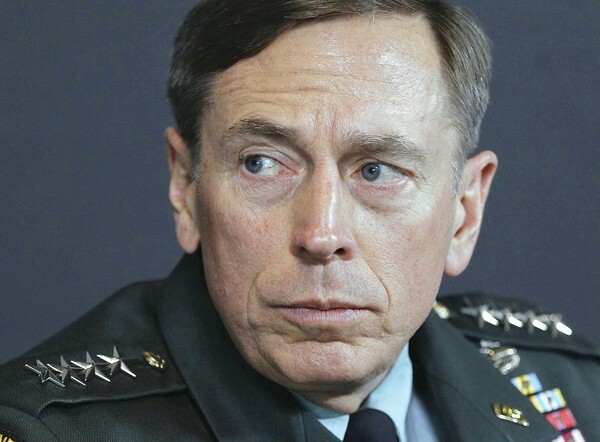 Viewing daily reports coming from Europe, a more nonpartisan observer (General Petraeus, recall, served in the Obama administration as CIA director in 2011 and 2012) might conclude Mr. Trump is responding to the obvious desire of American voters to have an open and honest, no-punches-pulled debate about this very serious, possibly life-and-death subject. Shouldn't Americans rightly expect their leaders to seek to reduce security threats through policy, not overlook them? Petraeus overstates and exaggerates the position Mr. Trump advocates, too, and, thereby, sets up a straw man like "blanket discrimination," ignoring the fact that Mr. Trump has strongly indicated that any Muslim-refugee-entry ban would be temporary and that there would be exceptions. The recent experience of Europe should inform our discussion, as Donald Trump, to his credit, forthrightly maintains. The images of refugees flooding into Europe and acts of terrorism in European capitals -- and just this week, the destruction of Egyptair 804, en route from Paris to Cairo, over the Mediterranean, by a bomb, early assessments indicate -- are reason enough to justify extreme caution in matters of Muslim immigration at this time, even if speaking about doing this is perceived by some as politically incorrect. General Petraeus, among others, suggests that we risk offending essential Muslim allies, which would adversely impact our own national interests, i.e., our ability to defeat ISIS. Most of these allies - Saudi Arabia, Egypt, Afghanistan, Jordan, the Gulf States - we are pledged to protect from attacks of jihadist terrorists who also seek to overthrow those regimes. I submit they, contrary to the thrust of General Petraeus' argument, would be among the first to understand that a head of state's first duty is to deal realistically, not mincing words, with security threats facing the nation. During wartime, civil liberties have been restricted because of the perceived needs of nationwide cohesion and security. It was so in World War I and World War II, both declared wars. A free discussion in this national election on this vitally important subject, however, should not be a casualty of the current undeclared war. General Petraeus' arguments notwithstanding, shutting down discussion by employing devious aspersions to enforce conformity to the Obama/Clinton position is precisely what we don't need. Rather, let us exercise our freedom of speech, as Donald Trump advocates, in discussing national security risks. Faith Ryan Whittlesey was President Ronald Reagan's Ambassador to Switzerland twice and also a Member of the Reagan White House Senior Staff.